Trial and litigation practice from 1969 to 1992. Experience includes representing both plaintiffs and defendants in civil litigation. Obtained the highest slip-and-fall and second highest personal injury award in the history of Napa County. Served as a mediator in more than 1,200 cases involving commercial, real estate, employment, probate, personal injury, and family law matters. Formerly a member of the American Arbitration Association Commercial Panel of Mediators. One of six individuals selected by the American Arbitration Association to develop and serve on their first Family Law Mediation Panel in the United States. Has trained more than 1,000 professionals in mediation. As Chair of the Marin County Bar Association Alternative Dispute Resolution Section, was responsible for the development and implementation of Marin County's extensive and innovative court-annexed ADR program. I have had personal experience with Steve in two construction defect cases. Steve’s strengths include a practiced and conscious patience that permits the attorney and client to explain their case without interruption or judgmental consequence. Throughout the process, Steve displayed an ability to listen that demonstrated his respect for the parties. His sense of humor softens even the most strident advocate and eases the tension and narrows the gap in perception by the common bond of shared laughter. When Steve engages in reality-testing, it is judiciously and tactfully employed and always respectful of those to whom it is directed. His strength is in interpersonal dynamics and helping people understand the non-economic as well as the economic considerations. His approach: Bring in life’s humorous but relevant lessons we all have experienced. Suddenly, there appears a common basis upon which the parties begin to repose trust, respect and to develop a settlement. Steve is quick and relentless in ascertaining the true nature of the dispute, even when this has eluded the lawyers and the parties. He works tirelessly and creatively with an innate sense of the practical limitations imposed by the parties and the law. Above all, he is honest. He is one of the few mediators who gets the big picture about how to resolve cases. He is firm and persuasive, without being offensive to the parties or attorneys. The plaintiffs typically like him because he is very empathetic to what they are going through and understands their needs. The defendants like him because he is a straight shooter and is equally honest with both sides. Steven Rosenberg mediated an extremely painful family dispute over a conservatorship. What’s unique about Steve is has an enormous capacity to stand and not take personally complex emotions that may get directed at him. It doesn’t faze him. I mediated an employment dispute with Steve Rosenberg and given the nature of this I was not hopeful that a settlement could be reached. Steve is a very skilled mediator, and my client, who is a practicing attorney, was very impressed with his ability to focus on the key issues. I was especially impressed by Mr. Rosenberg’s ability to transform this business dispute discussion from a negative one of claims and defenses to a positive one of possible solutions to the group’s collective problem. Steven Rosenberg recently tackled two of our most difficult cases and settled both. These cases were mired in economic and emotional gridlock. Mr. Rosenberg has three talents in abundance. He is quick of mind and communicates realistic signals. He inspires trust, and thus improves communication. He has a steady and good sense of humor. The matter involved a debilitating and permanent personal injury claim and the parties presented at Mediation in excess of $3.5 million dollars apart. Mr. Rosenberg performed an extremely capable job of defusing personal animosity between both the party plaintiff and the corporate defendant, as well as between counsel. At the end of a very long day of mediation, Mr. Rosenberg was able to complete a settlement that none of the parties would have thought possible. Two recent case I mediated with Steven Rosenberg involved difficult legal issues and emotional parties. On each occasion Mr. Rosenberg meditated these matters to settlement. He exhibited a trustworthy demeanor, leading the parties to come to the table with open minds. He used subtle strength to achieve the goal. Mr. Rosenberg ranks among the best. Steven Rosenberg never ceases to amaze me at his ability to get cases settled. He has the ability to adapt his process to suit the litigants and attorneys in resolving their differences. Usually he facilitates the litigants own compromise. In one case he suggested a very imaginative resolution that no party or attorney had considered. Mr. Rosenberg has my highest recommendation as a professional, well-educated and accomplished mediator. I appreciated Steve Rosenberg’s flexibility in dealing with the different circumstances these personal injury cases case. He were able to point out the difficulties in the case for both sides and hius assistance at bringing both parties to a median dollar figure to settle was invaluable. His ability to be part chameleon; changing your style to fit the needs of the parties and the particular case, was essential at pushing the cases towards resolution. Steve mediated a case in which the partners had a very serious falling out, with bitter personal antagonistic attitudes towards each other which undermined all prior settlement negotiations. I had little hope that mediation would resolve the issues, but to my great surprise and relief, after ten hours of non-stop mediation, the matter settled. It was only through Steve's great tact and perseverance that this matter settled without a bitter trial. I recommend Steven Rosenberg as a mediator, especially for those cases that are unique or out of the ordinary. The issues in a recent case that he mediated were overwhelming to the litigation system. Somehow the parties were able to get the case resolved, despite the fact that there were eight attorneys involved. That “somehow” was Steve Rosenberg’s mediation skill. I would like to thank you for the excellent work you have done as a mediator. In both cases there were serious impediments to settlement, yet we were able to bridge the differences and reach resolution that worked to everyone’s advantage. Given the one hundred and eighty-degree divergent legal theories propounded by the parties in this personal injury case, it seemed certain that the case was destined for hundreds of thousands of dollars in discovery costs and expert witnesses and a long, grueling, acrimonious trial. Thanks to Steven Rosenberg’s professionalism, experience and expertise, the case was settled for just under two million dollars. Kudos again for your creative and successful approach to our recent conservatorship mediation. This was a case involving deep emotions and a grievously divided family and you seem to have brought them together after years of bickering, violence and bitterness. I feared being in the same room with all of the warring factions but you were able to bridge the gaps from the beginning and achieved exactly the resolution that was desired. You discharged the tension on both sides and did a great job getting all of us to an economically rationale point. Thanks for your patience, skill and willingness to hang-in there, even after hours. I highly recommend Steven Rosenberg as a mediator. He is very knowledgeable regarding the mediation process. He is also very respectful of the role of the client in the mediation process and takes great strides to include the client in the process in a very constructive manner. He takes the time to learn the facts presented to him in advance of the mediation, and is prepared to discuss them. Mr. Rosenberg digs in where others hesitate to do much more than carry messages from one side to the other. 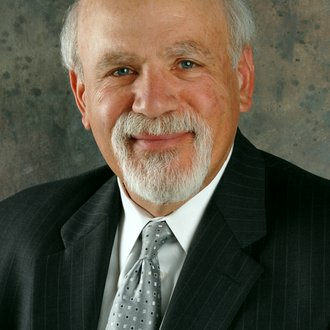 Mr. Rosenberg always comes to the mediation with the firm goal of getting cases settled. Mr. Rosenberg in turn takes the time to read the briefs and digest the information so that the mediation session is devoted to bringing the parties together. Mr. Rosenberg brings to each mediation session a wealth of knowledge and experience. He does not hesitate, at the right time, to express his opinion as to the likely outcome should a matter proceed to trial. This I find useful and refreshing. Mr. Rosenberg mediated a small company split up and with skill and persistence. He was particularly skillful in establishing a rapport with the parties themselves, and getting them to understand what they really wanted to accomplish in the dispute. This office has conducted several real estate mediations before Steven Rosenberg and in each case they have resulted in successful agreements. He is highly regarded in the Bay Area for his skills as a successful mediator. This was an unusual lease dispute. There was difficulty in predicting a damage outcome and some emotional dynamics. You were sensitive to the needs of the parties to be heard and kept the discussions on track even when an impasse seemed likely. Mr. Rosenberg mediated a sexual battery and sexual harassment case. This was a highly charged situation where high emotions as well as claims and counter claims presented serious obstacles to settlement. Mr. Rosenberg was highly professional and calmly addressed these difficult issues to obtain a settlement. I want to say how pleased my client was after your recent mediation with them in the conservatorship matter you handled. This was a difficult, emotional case, which involved a grieving family. Your skill in directing the litigants to areas of shared mutual interests was critical to the parties reaching a quick, momentous breakthrough in the longstanding bitter dispute. I very much appreciated the time you spent with me in advance of the mediation to understand the issues, and especially to understand how to direct the order of presentation to achieve the best result. Steven Rosenberg performed as a mediator in a contested probate matter in which I represented one of the parties. The matter involved significant emotional issues. He got the parties to articulate their emotional concerns and communicate their positions. Once those concerns were manifest a resolution agreed to by all parties became available and the mediation was a success.